Bartolomé Bermejo, Saint Michael Triumphant over the Devil with the Donor Antoni Joan, 1468, Oil on panel, 179,7 x 81,9 cm. 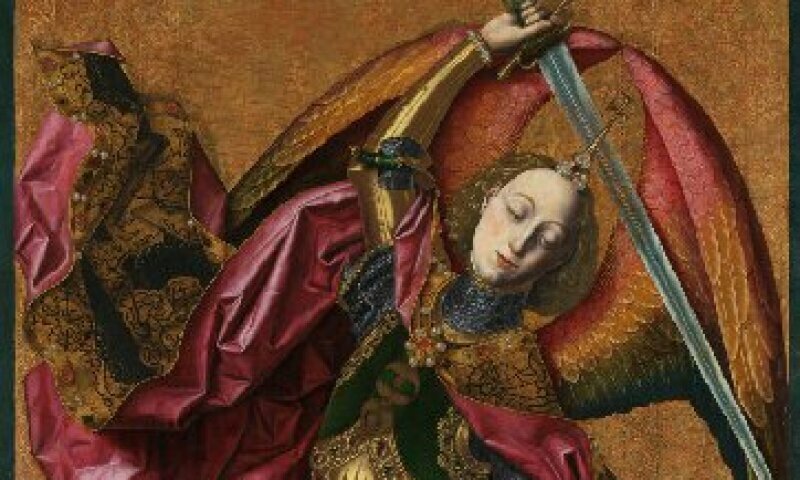 Bartolomé Bermejo was one of the most fascinating figures within Spanish art of the second half of the 15th century. Bringing together a remarkable group of paintings from Spanish, European and American museums, the Prado is able to present this survey exhibition, which has been organized with the collaboration of the Museu Nacional d’Art de Catalunya and, for the first time, allows for an appreciation of the technical virtuosity and distinctive visual universe of this Cordovan painter active in the Kingdom of Aragon.